This is one of our favorites at any Thai restaurant. 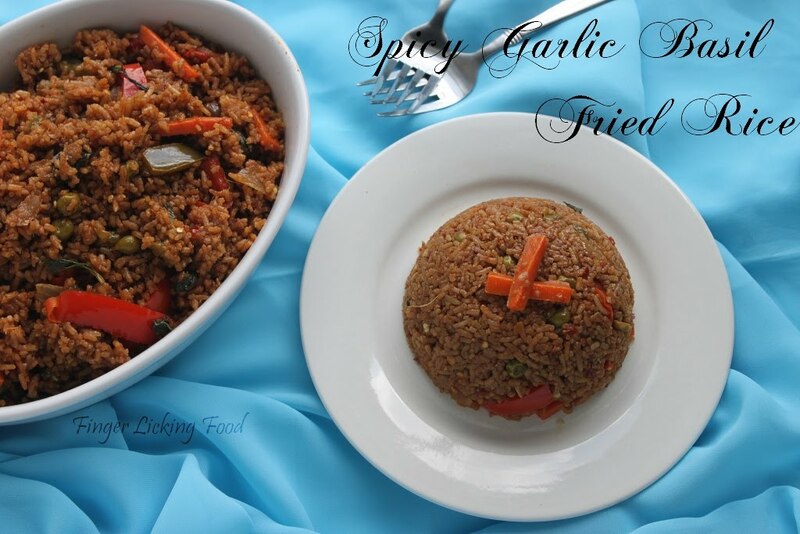 Fried rice with lots of garlic and basil, spicy enough to make you cry! We used to order home-delivery on those odd days when I had no mood to cook, but the fried rice used to be disappointing. The fried rice would never be spicy enough. So there began my attempt to replicate restaurant style Spicy Basil Fried Rice. I've had to make this over and over to get the exact restaurant taste, trying different ingredients. One fine day I hit upon the right combination, here it is. Prepare jasmine rice as per package instructions. Spread on a plate to cool and set aside. Heat oil in a large pan. Add the minced garlic and grated ginger. Saute for a few seconds until fragrant. Now add the onions, bell peppers and carrots. Cook for 4-5 minutes until veggies are tender. Add the frozen peas. Saute for a minute and then add the sambal. Combine until veggies are coated. Now add the cooked cooled rice. Stir and then add the soy sauce and sriracha. Mix well and cook for 3 minutes on medium heat. Add the brown sugar. 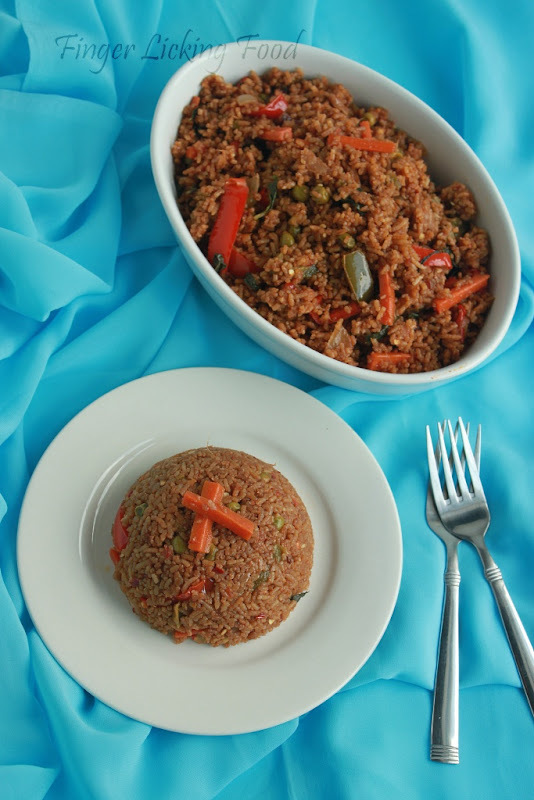 The sambal and the soy sauce makes the fried rice taste salty and acidic, the brown sugar balances out by adding a little bit of sweetness. This leaves a very pleasant after taste without taking away the heat from the sauces. Lastly, add the chopped basil leaves. Combine well, cover and cook for a minute. Turn off heat. Serve hot. Love d aroma of basil..Delicious recipe!! Hey I was trying to find one! you did the work for me, thank you! 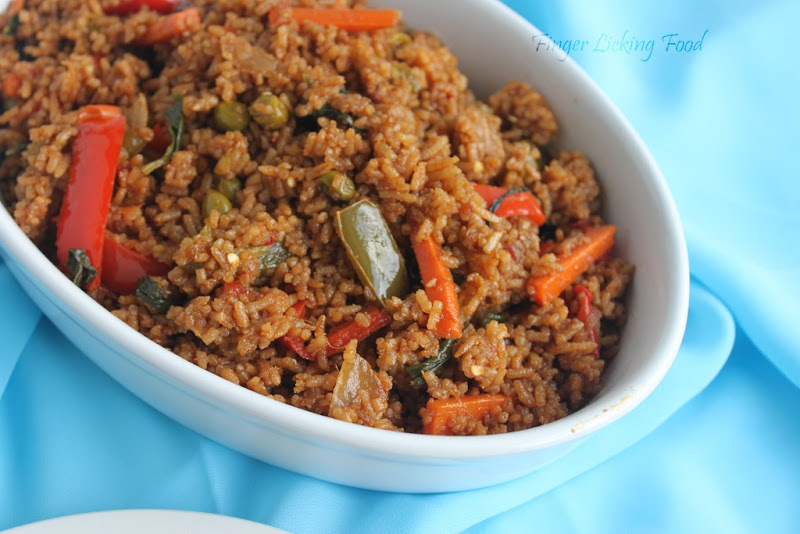 Drooling here, very tempting and flavourful rice..
My hubby would simply love this spicy rice preparation! 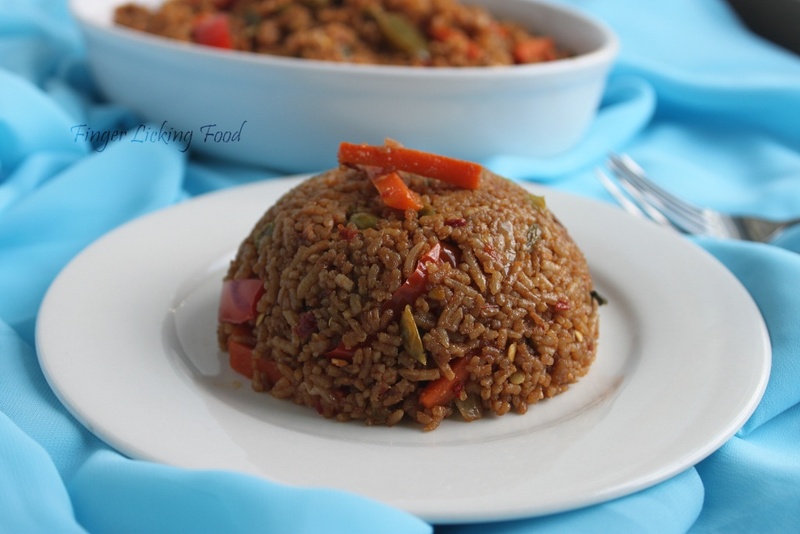 lovely delicious and aromatic rice.